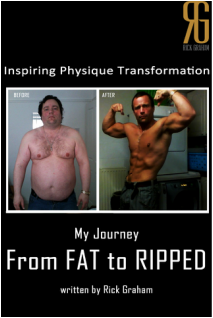 Ever since uploading my transformation video to YouTube on December 31st 2013, I have received thousands of emails from people around the world asking me what I did to lose the fat and transform my body. I also received lots of requests to put something together to help other people out there to do the same thing. So I did, and this eBook + HD Video is the result of a lot of time and effort. In this substantial ebook which covers 56 pages, I take you all the way from events prior to my transformation, up to where I am today. This is about MY journey and what I have learned so far and I really hope it gives people out there wanting to make a change in their lives the inspiration to do the same. I take you through every single workout that I do to achieve the results that I have. Every single rep and every single set has been captured on film so that you can follow exactly the same routine as I have have done for the past 2 years. I also show you what I eat to achieve the body that I have worked so hard to achieve and you can do the same.